Which was the smallest Horned Dinosaur? Home/Dinosaur Fans/Which was the smallest Horned Dinosaur? Ask a child what their favourite plant-eating dinosaur is and the likes of the horned dinosaur Triceratops will be high on their list. Horned dinosaurs, creatures such as Triceratops, Styracosaurus and Chasmosaurus are perennial favourites with young dinosaur fans. This dinosaur clade, were one of the last groups of dinosaurs to flourish, rapidly diversifying into a myriad of different types and surviving right up to the end of the age of dinosaurs (end of the Cretaceous geological period). Triceratops with its two large brow horns and its third, smaller horn sitting further forward on its enormous skull is easily recognised by budding young palaeontologists. Part of the popularity of this particular group of dinosaurs might be that they are very easy to recognise and most of the dinosaur’s names are not too difficult to pronounce. In terms of model and replica ranges, dinosaur model manufacturers often include at least one or two representatives of this family within their model ranges. Another plus, for the Ceratopsida, is that many of the largest and most striking lived in the United States alongside the likes of Tyrannosaurus rex. No child’s dinosaur collection is complete without a Triceratops or Torosaurus to battle it out with the “King of the Tyrant Lizards”. For palaeontologists there is still a great deal to learn about this type of dinosaur, otherwise known as the Ceratopsians. There are very many gaps in our knowledge concerning these Ornithischian (bird-hipped), vegetarians some of which grew to the size of a school bus. 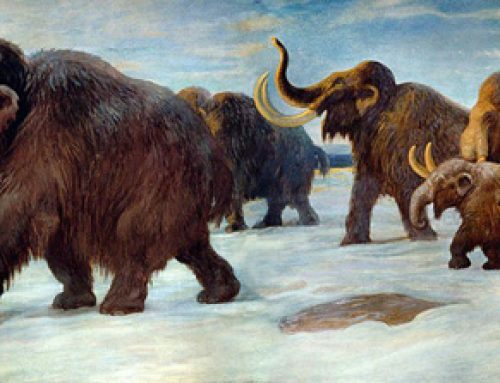 Scientists in the 20th Century concluded that these dinosaurs originated in Asia and then migrated over to North America during the Late Cretaceous when there was a land bridge between these two continents (the Bering Land Bridge). However, recent fossil discoveries has provided scientists with evidence of Ceratopsida in places that palaeontologists did not expect them to be found. Small Ceratopsids have been associated with the Hateg Formation (southern Europe – Romania), plus there have been fragmentary fossils found in Belgium and some fossilised teeth, remarkably similar to the teeth from a horned dinosaur discovered in Sweden. Based on this evidence, it seems that horned dinosaurs may have migrated into Europe from Asia as well as into North America. The geographical spread and the diversification of these dinosaurs is more complicated than previously thought. One of the questions, that our experts get asked during their school visits to teach about dinosaurs, is which horned dinosaurs were the smallest? This is a tricky question as ironically, more is known about the very largest Ceratopsians such as Triceratops and Styracosaurus than the very small ones. The fossils of the smallest horned dinosaurs have been found to date in China and Mongolia. The fossils indicate creatures of around one to two metres in length. Competing for the title of the smallest horned dinosaur known to date are the likes of Liaceratops which is believed to have been about fifty centimetres long, Archaeoceratops one metre long, with Helioceratops also a contender at just over a metre in length. As these horned dinosaurs are all small and found in rocks older than their North American relatives it is thought that the horned dinosaur group originated in China. One of the smallest and most bizarre horned dinosaurs discovered to date is Koreaceratops – called as its fossils (a single specimen) were found in South Korea. This dinosaur, which stood perhaps one metre tall, had a broad, deep tail and it has been suggested that this particular Ceratopsian was adapted to live in water – a sort of pygmy, prehistoric hippopotamus. Certainly, Koreaceratops if it was a horned dinosaur that lived in water, would be a contender for being the smallest horned dinosaur known to date and also one of the most bizarre. As well as the Chasmosaurs that you have mentioned Triceratops and Torosaurus there is Tatankacertops and a very basal Ceratopsian known as Leptoceratops. All these dinosaurs are associated with the Maastrichtian faunal stage, the very end of the Cretaceous. Fossils found in the Hell Creek Formation. Also, Arrhinoceratops (Canadian fossil material), possibly Centrosaurines being represented by the Pachyrhinosaur genus and Achelousaurus.